Shazam 2 Script Coming from First Film’s Writer | Nerd Much? Shazam came out of the gates swinging last weekend. The latest DCEU project earned some solid reviews justifying a current Metascore of 71. And it raked in some serious cash with worldwide opening weekend earnings nearing the $160 million mark. So it should come as no surprise that New Line Cinema and DC are planning a sequel for the flick. And it’s now been confirmed that the first movie’s writer will be returning to pen the Shazam 2 script as well. Henry Gayden is the scribe credited as the screenplay writer on Shazam. 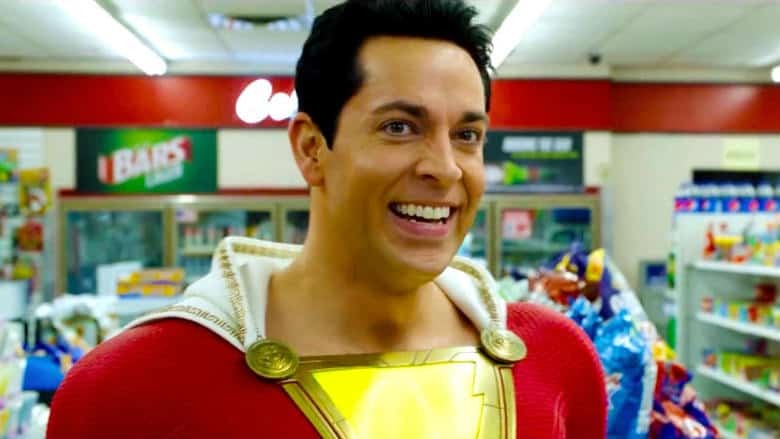 TheWrap reports that Gayden has agreed to terms with the studios and will return to write the story for Shazam 2. Gayden does have prior obligations though. The writer is currently penning a film entitled Last Human for Phil Lord and Chris Miller. The project is a live-action adaptation of an upcoming novel to be published by author Lee Bacon. Back to Shazam 2, TheWrap reports that in addition to Gayden’s return, the sequel is also expected to see the return of director David F. Sandberg and producer Peter Safran. No timetable has been revealed for development of the project. With Shazam’s release, the next DCEU project slated for release is Christina Hodson’s Birds of Prey on February 7, 2020. Wonder Woman 1984 then comes June 5th, 2020. Matt Reeves’ The Batman is expected to follow that the following year in June 2021, and then James Gunn’s The Suicide Squad in August 2021. John Francis Daley and Jonathan Goldstein The Flash movie is expected that year as well. And finally, Aquaman 2 is currently positioned with a December 2022 date. Expect Shazam 2 to fit in there somewhere, perhaps as an early 2022 movie.